Just what is a hydrofoil sailboat? Experienced and seasoned sailors would no doubt know what the term means and what I am talking about. Still, for the mutual benefit of everyone here, I will give a brief introduction on the subject matter. When you talk about a hydrofoil, also referred to as hydrosail, it is actually used to described sailboats with foil wings that are attached beneath the hull. When your sailboat or yacht picks up speed, the foil will act to levitate the hull and above the water. This means that the wetted area is significantly reduced which ultimately will result with more speed for your sailboat due to reduced drag. Under normal circumstances, you can expect to get speeds that are twice of that to the wind speed. While it is common to see sailboats of single and multihulls being fitted with hydrofoils, catamarans and trimarans have also been known to be fitted with them since they offer better stability. Well, I certainly hope you have managed to get a clear idea to what hydrofoils are as well as its uses and. Truth is, hydrofoils have been used for at least 50 years to allow for sailboats to increase their speed significantly. 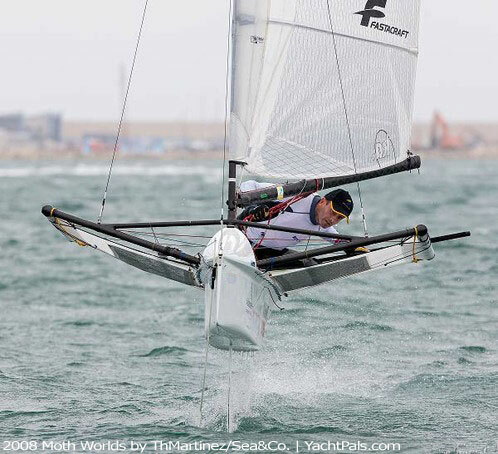 However, with the materials as well as technology evolving over the years, more and more sailors and boat owners have been fitting hydrofoils. I think anybody in their right frame of mind would want to fit these foils to their sailboats. After all, the highest speed achieved by using hydrofoil is an impressive 47 knots! It's simply amazing just how technology has made all this, a possibility! So, how do you go about it? Where do you go; what do you do if you want a hydrofoil sailboat? As I had mentioned earlier, the technology has evolved so much that it has gotten to be quite common nowadays. This works in everyone's favour including you. Nowadays, you can expect to find many books and magazines on the subject. If you surf the net, you are bound to find many websites, articles and even videos teaching you how to fit them on your own. You can also find many professional services that can fit hydrofoils to your boats. Let me give you a more detailed guide to getting information concerning a hydrofoils as well as related matters. Here is a good site to get you started on hydrofoils: http://www.foils.org/linksout.htm . Basically, you can find just about anything and everything in relation to hydrofoils. Whether you are new to the subject and want to learn something about its history and technology or whether you are looking for DIY hydrofoil kits and models to build on your own or read about articles on the latest hydrofoil-related technologies you are bound to find it all here. Now that you have understood the basics involving the hydrofoil sailboat, you might want to consider putting everything you have read and learned to practice! Not only will you have a speedier boat, you will also take heart in knowing that you are part of the sailing evolution.